K366 CNC – Kirner Schleifmaschinen GmbH & Co. KG. All standard and special dental and medical tools as well as industrial burrs with a head diameter of up to 8 mm can be manufactured with high precision and entirely automatically on the extremely compact tool grinding center K366 CNC. The KIRNER propriety 6-axis kinematics with dominant swivel axes is unique in the world and offers decisive advantages in the grinding process. The integrated pallet loader allows for the shortest production cycles while operating with extreme reliability. More than 2000 work pieces can be stocked. The sophisticated KIRNER grinding software developed in-house allows you to program the complete range of grinding applications.. Thanks to optimised tool supporting systems you can also master grinding tasks with critical collision issues. The proven tool support using bezel grippers guarantees the best possible concentricity and thus optimal grinding results. The K 366 CNC machine already reflects the technology of tomorrow – KIRNER’s 4th generation of machines! Decades of know-how in the production of CNC-controlled tool grinding machines, paired with the demands of leading tool manufacturers led us to this machine – the K 366 CNC. 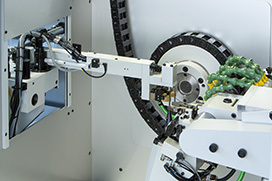 Along with the modern Siemens PC control systems and digital drive technology, the guarantors for an optimal grinding result in record time include the precision linear guides and precision bearings, particularly the high-torque direct drives in the rotary axes. The degree of automation achieved for the complete tool run – together with the latest generation of hardware and software – shortens the cycle time, the decisive step for a fast return on investment. 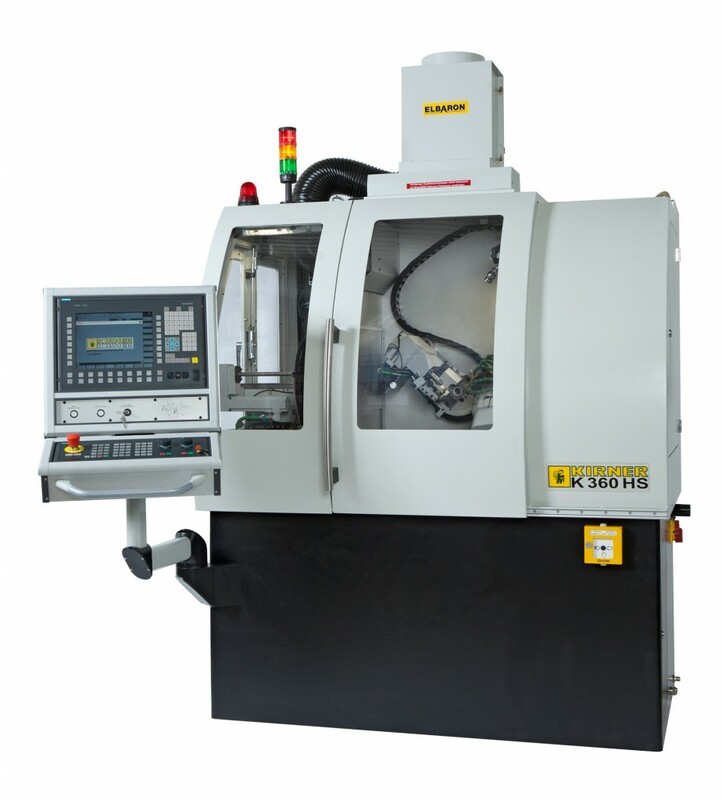 The K 366 CNC machine can accommodate up to 4 grinding wheels with a maximum diameter of 100 mm. No matter what you want to grind, much can be completed in just one clamping. Thanks to the new setup program, the machine can be programmed very easily. The parameters of your grinding machine are set in a logical sequence and the operator can achieve the desired setup with only a few entries. The control system handles the rest. Plausibility and safety checks as well as the optional integration of a presetter, a flange detection system or a barcode scanner greatly increase the setup efficiency and reduce the error potential. The pallet loader fully integrated in the CNC, the propriety KIRNER 6-axis kinematics and the integrated CCD camera simplify the complete setup process significally. This makes even small batches attractive!